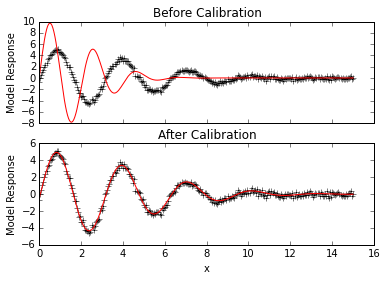 This example demonstrates a linear analysis of the Calibration Using LMFIT example using the pyemu module (https://github.com/jtwhite79/pyemu). 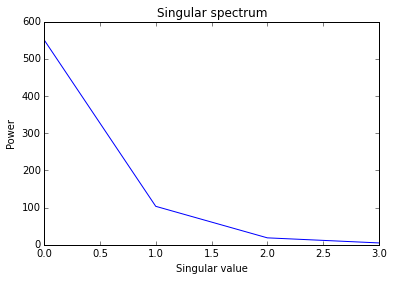 Singular values from pyemu’s eigenanalysis of the jacobian are plotted and identifiability of parameters are printed. The resulting identifiability values indicate that one of the parameters (amp) is significantly less identifiable than the others.
""" model decaying sine wave, subtract data"""